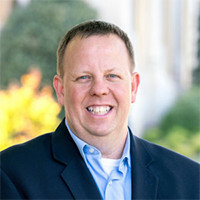 Deron J. Biles graduated from Howard Payne University in Brownwood in 1989 with a BA in Bible and History; received an MDivBL from Southwestern Seminary in 1992; and a Ph.D. from Southwestern in Old Testament in 1997. Dr. Biles served as a Pastor for 15 years. He has also served as Interim or Transitional Pastor in ten Churches. Dr. Biles is the author of The Ministry of a Shepherd, published by Broadman and Holman. He is also the author of After God’s Heart: Becoming the Man God is Seeking along with its companion volume entitled, After God’s Heart: Becoming the Man God is Seeking. A Forty-Day Bible Study. He is the co-author of the book, Seminary Education by Extension: Process, Principles, and Practices. In addition, he has written or co-written manuals for Pastor Search Committees, making resumes, Interim Ministry, and Associational ministry. 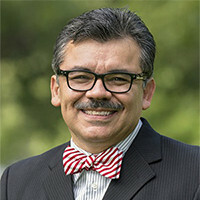 He currently serves as the Director of the Professional Doctoral Program in the School of Preaching and Professor of Pastoral Ministry and Preaching in the School of Theology and the School of Preaching. Jeffrey Campbell serves as Assistant Professor of Preaching, the W.A. Criswell Chair of Expository Preaching, and the Dean of Students at Criswell College in Dallas, TX. He received a Ph.D. in Preaching and Pastoral Ministry from Southwestern. He has served in higher Christian education since 2003 and has contributed to the study of preaching in various journal articles and conference speaking engagements. Daniel Dickard is the Pastor of Friendly Avenue Baptist Church in Greensboro, NC. He graduated from Southwestern in 2017 with a Ph.D. in Preaching. 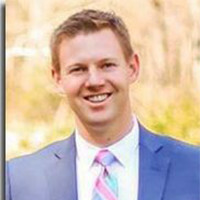 Adam Dooley serves as pastor at Sunnyvale First Baptist Church. 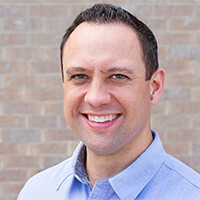 With a deep love for expository preaching, a unique passion for personal discipleship, and a heart to reach the lost, Pastor Adam guides the congregation he serves toward a renewed commitment to the basic disciplines of the Christian faith. In addition to his pastoral duties, he also teaches adjunctly at The Southern Baptist Theological Seminary in Louisville, KY. In May of 2015, Pastor Adam launched the A Better Way Ministries providing biblical resources, books, and daily radio broadcasts throughout the southeast. His published works include chapters in numerous books as well as a forthcoming commentary on 1 & 2 Chronicles in the Christ-Centered Exposition series and Passion In the Pulpit which he co-authored with Dr. Jerry Vines. 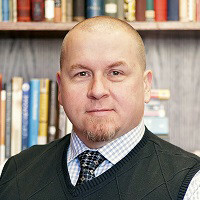 Michael Duduit is the founding publisher and editor of Preaching magazine. He is also the founding Dean of the new College of Christian Studies and Professor of Christian Ministry at Anderson University in Anderson, South Carolina. Michael is author and editor of several books, including the Handbook of Contemporary Preaching (Broadman & Holman Press), Joy in Ministry (Baker Books), Preaching With Power (Baker) and Communicate With Power (Baker). From 1996 until 2000 he served as editor of the Abingdon Preaching Annual series. His email newsletter, PreachingNow, is read each week by more than 40,000 pastors and church leaders in the U.S. and around the world. Jordan Easley is the Senior Pastor of First Baptist Church in Cleveland, TN. 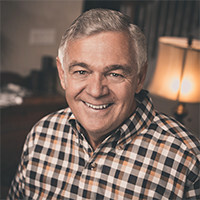 He has served in various ministerial and denominational leadership positions and has authored the book Life Change, with his second book—Resuscitating Evangelism—releasing early 2020. Rudy Gonzalez pastored his first church in Hobbs, New Mexico in 1975. Not long after, he was encouraged to seek ministerial training and so he moved to Dallas where he attended the Criswell Bible College, a small college that had recently been founded to equip pastors for effective ministry. Rudy had no expectation for anything other than to learn how to “marry, bury and baptize people” as he tells it, but his studies at Criswell College sparked an interest in deepening his theological understanding. With the help of his wife and the encouragement of his professors and school president, Rudy continued his studies eventually earning his doctorate in New Testament. Over the years, God has opened the door for Dr. Gonzalez to travel, to teach and to preach in numerous locations both at home and abroad. He is thoroughly comfortable in both English and Spanish, having published in both languages. 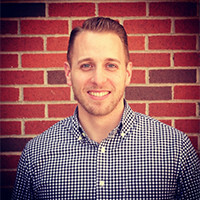 Andrew Hébert holds a bachelor’s and master’s degree from Criswell College, and completed a doctorate in leadership and discipleship from The Southern Baptist Theological Seminary in Louisville, Kentucky, writing his doctoral thesis in the field of organizational culture and change. 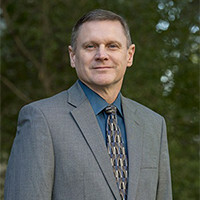 He also conducted postgraduate research in New Testament studies at the University of Wales Trinity Saint David.​ Dr. Hébert has held various positions in Southern Baptist life, including Chairman of the SBC Committee on Order of Business, member of the SBC Credentials Committee, and member of the Ethics & Religious Liberty Commission Leadership Council. He has served on both the Executive Board and the Committee on Committees for the Baptist Convention of New Mexico, as well as the Resolutions Committee for the Southern Baptists of Texas Convention. He also served as a member of the Board of Trustees at Criswell College and as an ambassador for the North American Mission Board. Tommy Kiker grew up in a pastor’s home and received Christ as an eight year old boy. In the summer before going off to college he began to feel God’s calling to full-time ministry and submitted to the call during his freshman year of college. 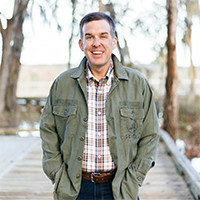 He accomplished his theological training through Southeastern Baptist Theological Seminary in Wake, Forest, NC, completing his Master of Divinity in 2002 and Doctor of Philosophy in 2009. He has previously served as a youth minister and as a senior pastor in three churches for nearly seventeen years. Over the last eight years Dr. Kiker has served as a Professor of Pastoral Theology and Chair of the Pastoral Ministry Department at Southwestern Baptist Theological Seminary in Fort Worth, TX. His work has included helping young men clarify and confirm their calling to the ministry, and equipping them to pursue it with complete abandon for God’s glory. 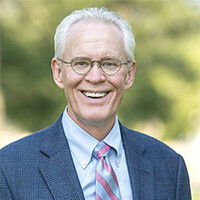 Barry McCarty came to Southwestern after twenty-two years as a senior pastor, following eighteen years in higher education. 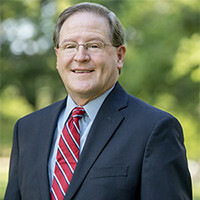 He served as a Teaching Fellow in Public Speaking and Debate at the University of Pittsburgh, as Professor of Preaching and Rhetoric at Mid-Atlantic Christian University, and as President of Cincinnati Christian University. During his years in pastoral ministry he also taught as an adjunct professor in several colleges and seminaries. He currently teaches in the fields of preaching, rhetoric, and reasoning. Dr. McCarty is the author of Well Said and Worth Saying: A Public Speaking Guide for Church Leaders and Parables and Miracles. He is accredited as a Certified Professional Parliamentarian, and his Parliamentary Guide for Church Leaders, now in a 25th Silver Anniversary Edition, has become the standard guidebook in the field of church business meetings. 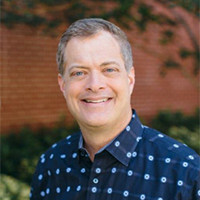 Since 1986 Dr. McCarty has served as the Chief Parliamentarian who advises and assists the presidents of the Southern Baptist Convention as they preside over the SBC annual meetings. Katie McCoy serves as Assistant Professor of Theology in Women’s Studies at Scarborough College. She is also the Editor of BiblcialWoman.com, a women’s issues website of Southwestern’s Women’s Programs. 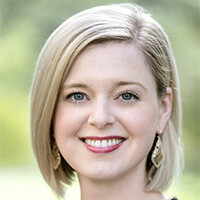 Katie graduated with a Bachelor of Music from Union University (TN) and with a Master of Divinity with a concentration in Women’s Studies from SWBTS. She graduated with a Ph.D. in Systematic Theology in May 2016. Matthew McKellar serves as Professor of Preaching. 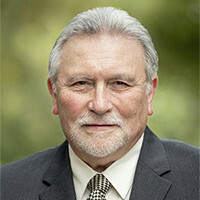 He joined the faculty at Southwestern in 2009 after having served as a senior pastor for 28 years. His current research interests include preaching Old Testament narrative texts, exposition of the parables of Jesus and the impact of our status as “aliens and strangers” on preaching. Dr. McKellar has written articles for Theologicalmatters.com, the Southwestern Journal of Theology and the booklet “A Pastor’s Guide to Text-Driven Preaching”. 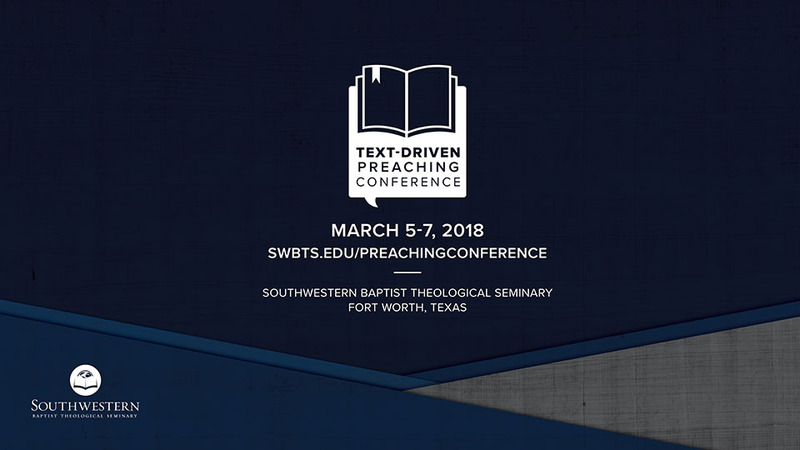 A regular presenter at Southwestern’s preaching workshops, he has served as an interim pastor and speaks frequently in churches and at conferences around the country. Stephen Rummage is the pastor of Quail Springs Baptist Church in Oklahoma City, OK. He is a frequent guest speaker for churches and conferences across the United States. Dr. Rummage has served as the chairman of the Southern Baptist Convention Executive Committee and president of the Florida Baptist State Convention. He spent more than seven years as professor of preaching at Southeastern Baptist Theological Seminary in Wake Forest, North Carolina, and continues to teach on a visiting basis at several institutions. 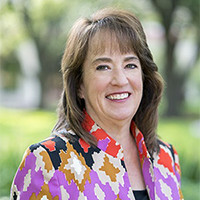 Terri Stovall serves as the Dean of Women’s Programs as well as associate professor of Women’s Ministry in the Jack D. Terry School of Church and Family Ministry where she teaches in the area of women’s ministry at the graduate and doctoral level. Training women’s ministry leaders continues to be her writing and research focus. Brad Whitt is the pastor of the historic Abilene Baptist Church in Augusta, GA. He is passionate about equipping and encouraging pastors and churches around the world for the glory of God, Spirit-filled expositional preaching, investing his life in others through personal mentoring, and the practical sharing of Jesus with those around him. In his more than 20 years in pastoral ministry, he has sought to model this Biblical method of disciple-making and church development in the United States as a local church pastor, as well as in churches and communities in Africa, Latin America, Eastern Europe, and the Middle East. Ken Whitten has been privileged to serve in various local, state, and national capacities including the SBC International Mission Board, Fellowship of Christian Athletes, Florida State Board of Missions, Florida Baptist Witness Board and others. 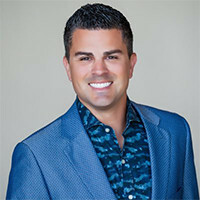 He has served as President of the Florida Baptist Convention, on the Conservative Resurgence Task Force, as Chairman of the SBC Committee on Order of Business, President of the SBC Pastors’ Conference, and as Moderator of the Tampa Bay Baptist Association.